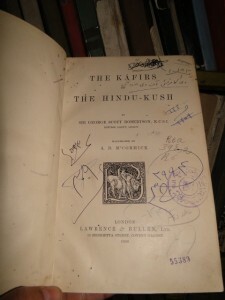 According to Firdausi’s Shahnameh, it was during this middle period of Aryan history that Zarathustra came to the kingdom of Bakhdhi. According to some accounts, Zarathustra made Balkh his home after King Vishtasp of Bakhdhi became a patron king of Zoroastrianism. By these accounts Zarathustra also died in Balkh at the hands of a Turanian invader. 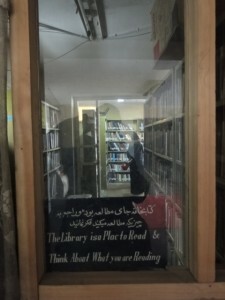 Some authors conclude that in addition to Bakhdhi / Balkh being one of the areas of Zarathustra’s ministry, that he was also born in Bakhdhi / Balkh. Today, the site of the kingdom and its ancient city is called Balkh, and the once mighty kingdom has been reduced to the fairly small province in Afghanistan. 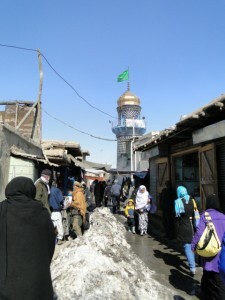 Balkh’s provincial capital is now Mazar-e Sharif, a city some twenty kilometers east of Balkh city. The Naubahar / No Gombad ruins located just south of the city of Balkh are variously described as being those of a mosque, a Zoroastrian fire temple, and a fire temple that was converted into a Buddhist temple and then into a mosque. ? 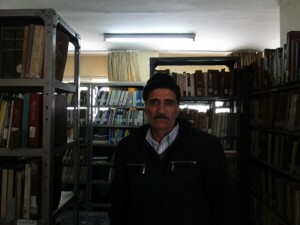 ?Various Islamic authors such as twelfth and thirteenth century CE Islamic authors, Yaqut Ibn-Abdullah (al-Rumi) and Shams Ibn-Khallikan, note that the Naubahar structure was a Zoroastrian temple. An earlier tenth century CE author, al-Masoudi, adds in Muruuju dh Dhabab that Barmak, the ancestor of the renowned Barmaki (also Barmakiyan) family was a Magian (magi, Zoroastrian priests – a name that Islamic authors gave Zoroastrians) and high priest of great fire-temple at Naubahar. In the spring of 2008 French and Afghan archaeologists announced that they had uncovered the ruins of a vast, hither-to unknown, ancient city at Cheshm-e-Shafa, the City of Infidels, some 20 miles (30 kilometers) from the ruins of Balkh fortress. They found centuries-old shards of pottery mingle with spent ammunition rounds from the recent civil war on Cheshm-e-Shafa’s wind-swept mountainside. The name, City of Infidels, suggests the locals knew that this was once an important Zoroastrian city. The team uncovered a 6-foot-tall (2-meter-tall) anvil-like stone believed to have been an altar at a fire temple dating back to around the 6th century BCE. An Afghan working at the excavation was anxious that media coverage could bring the unwanted attention of extremists to the site. 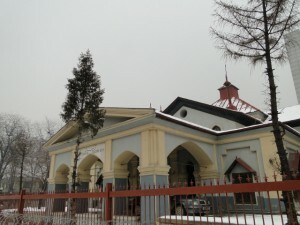 In the predominantly Tajik northern Afghan province of Baghlan, about 32 km (20 miles) on the road to Mazar-e-Sharif, are the ruins of the Atashkadeh-ye Sorkh Kowtal a 1st century Zoroastrian fire temple believed to have been built by the Kushan emperor Kaniska whose statue was found within the temple. 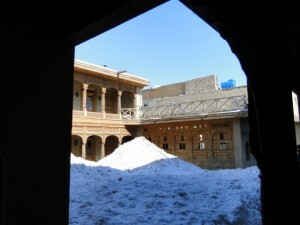 ?The ruins have since been plundered, statues stored in a museum smashed by the Taliban, and artifacts looted. French conservationists have pieced a statue of the king together. Built on the top and side of a hill, the temple complex would have been an imposing site, before its destruction, towering over the vast valley plains below. It was accessed by a long flight of steps leading to a stairwell, above which was a monumental stairway some fifty five meters high, rising in four flights, flanked by four terraces, to the temple on top of the hill. ? ?The stairs led to a temple containing an 11m. 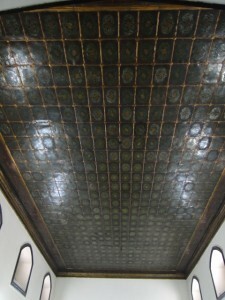 X 11m sanctuary – a cellar – in which there was a platform flanked by four columns, and on which rested a fire altar. 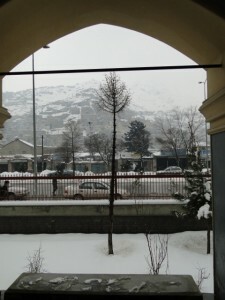 Kabul is a city of dramatic vistas. 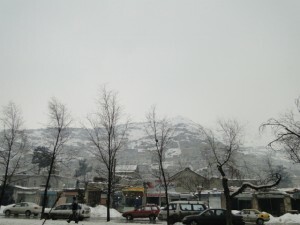 of a hill called Bibi Mahro, which is at the centre of the city. 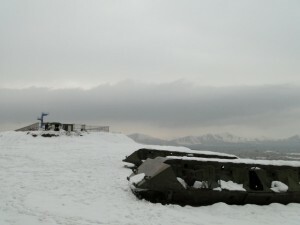 which was built by the Soviets, during the war. 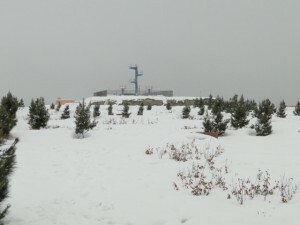 The hill is also a park, and I was told that during Nauroze thousands of families gather there to celebrate the festival. It is comforting to think that this city, which has buried the traces of so many past civilizations, still celebrates a tradition that goes back to Zarathustra and beyond. which is why its ears have been cropped so short. 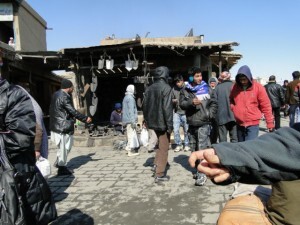 Dog-fighting is a lucrative business in Kabul, and the fights draw men from all walks of life: warlords are said to be among the most enthusiastic spectators. The fights are held every Friday and some people win (and lose) fortunes betting on dogs. 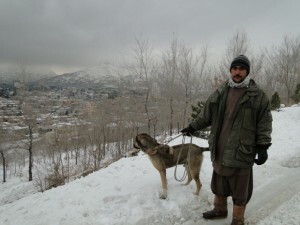 This dog has won several thousand Afghanis for its owner. 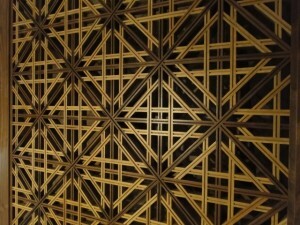 that is perhaps the most striking work of architecture in Kabul. 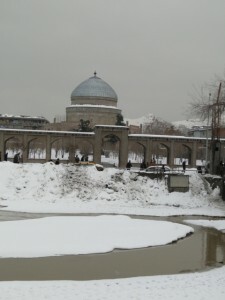 after the maqbara (mausoleum) of Timur Shah, which is also on the river. 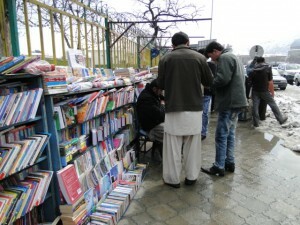 Nearby is Pul-e-Bagh Umumi, which is famous for its pavement bookstalls. 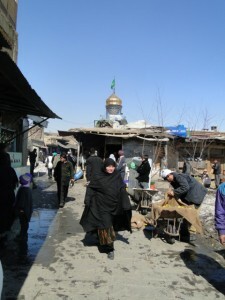 who are a community of Uzbeg Shias. 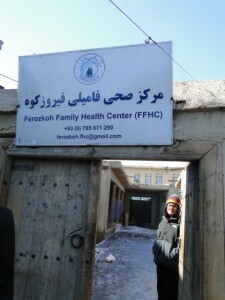 One of the alleys houses the Fairoz Koh Family Health Center. The clinic, which is supported by Canadian and US aid agencies, treats several hundred patients every month but is still unable to provide treatment to everyone who needs it. 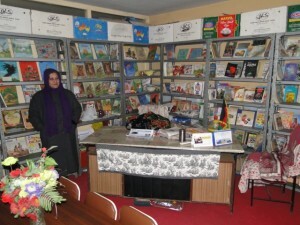 and other crafts to young Afghans. 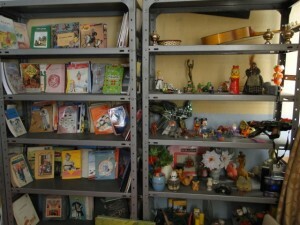 A selection of in-house crafts is on sale in the organization’s showroom. 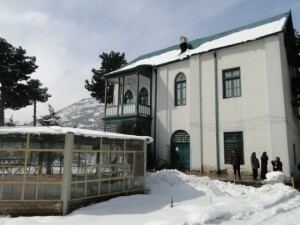 Back at the Pul-e-Bagh Umumi is the Spinzar Hotel. 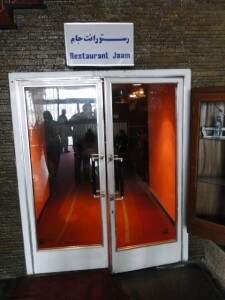 The Restaurant Jaam is inside. 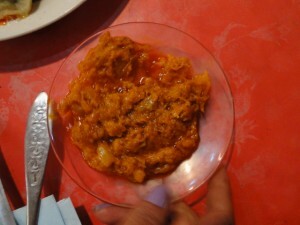 and a delicious cabbage relish called ‘karam’. 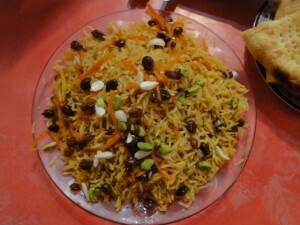 The host’, whose name is Roila, has spent years working in India (in Karnal). 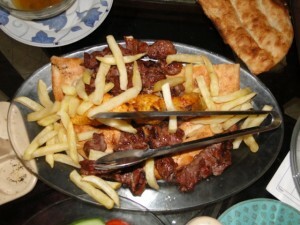 When he tells you his food is the best in Kabul you do not feel inclined to doubt it. 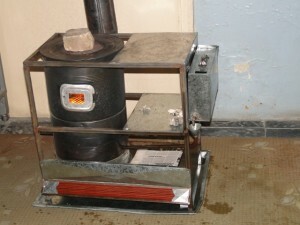 especially in winter, when the unheated galleries are bitterly cold. 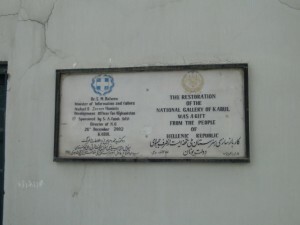 and has been restored by the Greek government as a national gift to the people of Afghanistan. 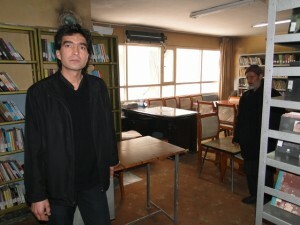 The staff is small but its members have tended the galleries diligently, against great odds. 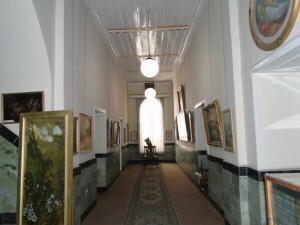 The galleries are each dedicated to an Afghan artist, most of them from the first half of the twentieth century. 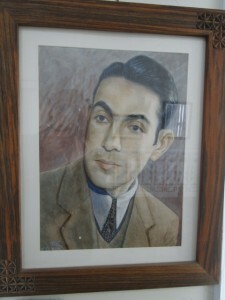 Ghulam Mohammad Menangi is one of the artists whose work is on display; he died in 1935. 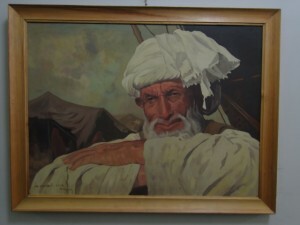 According to the curators he was one of the first Afghans to paint in the Western style. Evidently he took this mission rather literally for even his subjects were European – many of the paintings on show are of European cities and landscapes. 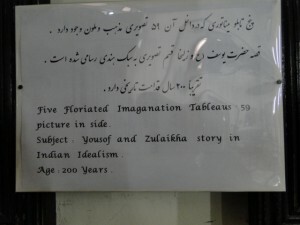 But there is an interesting portrait of Habibullah Khan (the erstwhile owner of the palace that has been turned into the National Archives [as described in an earlier post]). 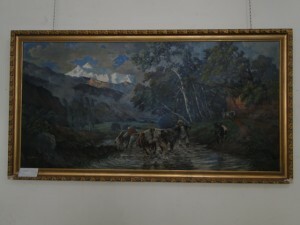 The painter Abdul Gafoor Breshna painted Afghan landscapes. 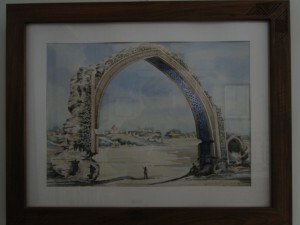 There are some striking watercolours by Karim Shah Khan (like several other Afghan artists, he was also a musician and composer). 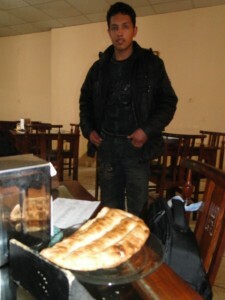 There is a fine self-portrait by Qurban Ali. 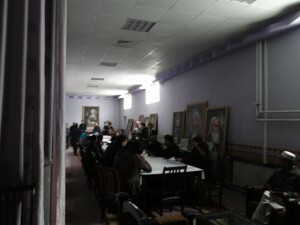 Sobra Rahmouni, who is a painter herself, is the Deputy Director of the National Gallery and has worked there for 27 years. 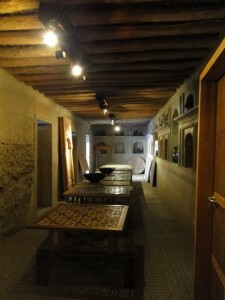 I learnt that the Taliban had destroyed two hundred and ten of the Gallery’s paintings. 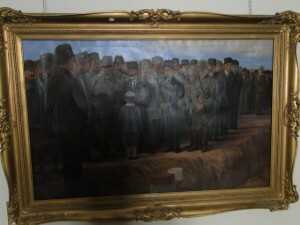 But the staff succeeded in concealing many of the Gallery’s artworks which is how some rather unexpected paintings managed to survive, like this one. 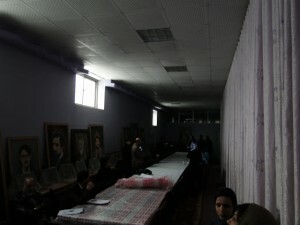 Despite the mass destruction of paintings, the Gallery remained open during te Taliban years. 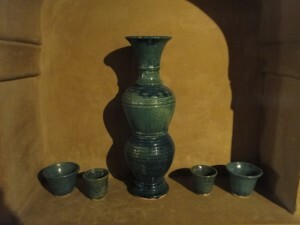 The staff continued to come to work although only a few inocuous flower and landscape paintings remained on display. 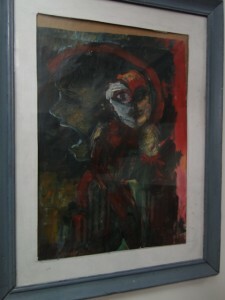 One of the few works in a contemporary idiom is by Tukhi, an Afghan artist who is now living in India. 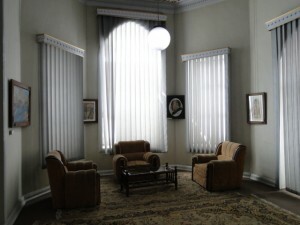 It was perhaps the single most memorable work in the gallery. Most of the paintings however, were of the last ruling family, including this one featuring Nadir Shah (who was born in Dehra Dun). 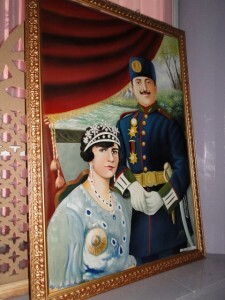 Here, as in many other places I visted in Kabul, a nostalgia for the monarchy was clearly in evidence. I was told that this nostalgia was quite widespread in the country during the warlord years. It is odd but true that during their rise to power the Taliban too professed to be keen on a restoration of the monarchy (Emirate). There are some who say that one of the reasons why people did not resist the Taliban as vigorously as they might have is because it was widely believed that they did indeed intend to restore the monarchy. 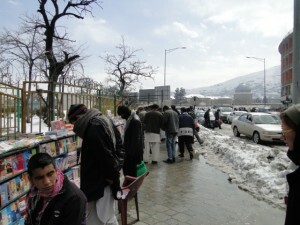 It was only after they had seized power that it became clear that their monarch was to be none other than Mullah Omar. 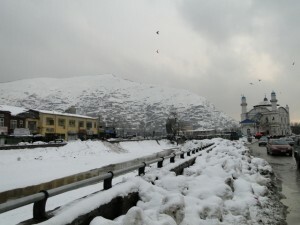 This hill, which looms over the center of Kabul, was once home to many Hindus and Sikhs. There was a Sikh gurudwara on it as well as a Hindu temple – the Asha Mayi Mandir. 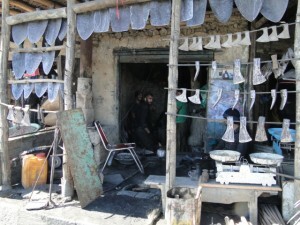 Many of the Hindus and Sikhs of this area had been in Afghanistan for generations. 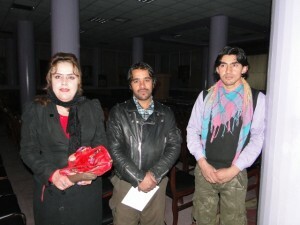 They had grown up speaking Pashto and were thoroughly assimilated into Pakhtun culture. 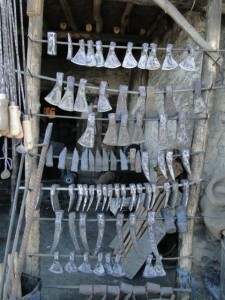 They were protected by the Pakhtun tribal code, being regarded as guests. 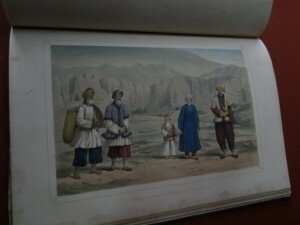 They prospered in Afghanistan in much the same manner that many Afghans did in India – through business and the retail trade. 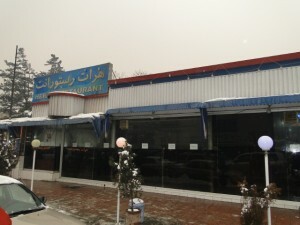 They ran shops and some had extensive lands and property. But in the last few decades most of the Hindus and Sikhs have left. Only a few managed to sell their houses and businesses. 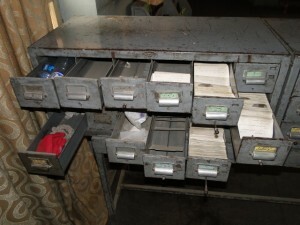 Mostly their properties were seized or encroached upon. The Asha Mayi Mandir too has moved elsewhere. 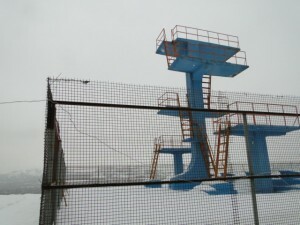 Today it is located in a featureless building with high walls. 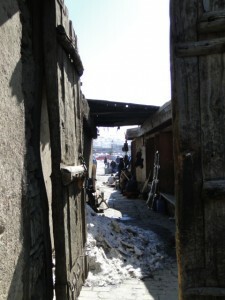 Until quite recently some fifty Hindu families lived within the compound. 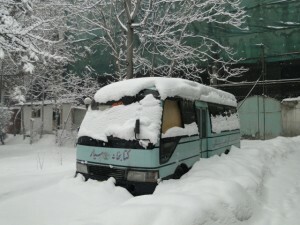 Now there are only five or six families left and they too may not last long. 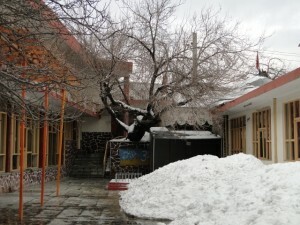 The temple is tucked away under a gnarled mulberry tree. It is looked after by a few sevadars. 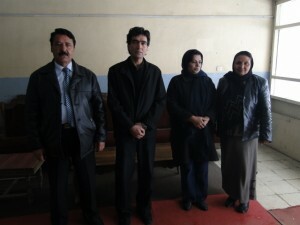 Some of their families have been settled in Afghanistan for many generations. 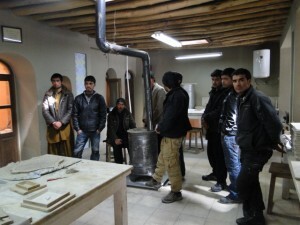 Some are more recent immigrants from Nepal: young men who came to Afghanistan to look for work. 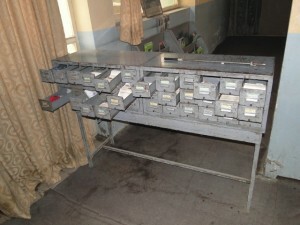 Some of the caretakers remained in the temple through the Taliban years. 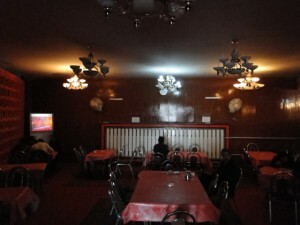 They told me that when the Taliban entered Kabul, they were quick to conceal their murtis. But even though the temple was empty, the community continued to gather for prayers and other ceremonies. “How are things now?” I asked, and their answer surprised me. They said that in some ways they had been better off under the Taliban. In those years, despite all their other difficulties, when members of the community died they were able to cremate them, at a site that had been in the community’s possession for generations. But over the last few years the old cremation grounds have been seized by squatters; all their attempts to reclaim it have come to nothing. This is one of the principal reasons why they are leaving. They are no longer able to perform the last rites for the dead. 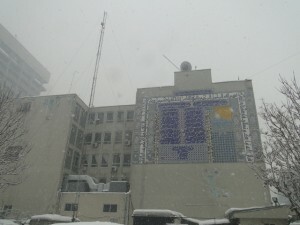 On February 20 Kabul was relatively calm and a light blanket of snow lay upon the building that houses Afghanistan’s National Archives. 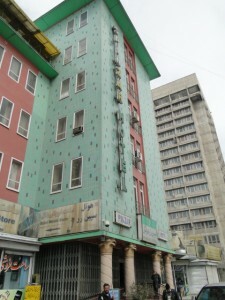 Once a palace, the building is one of the finest in the city. 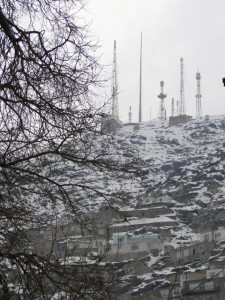 and it sits at the foot of Asmayee Mountain. 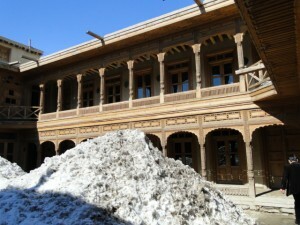 The palace was constructed in 1892 by Amir Abdul Rahman, for his son Sardar Habibullah Khan. The Sardar admired the architectural style of British cantonments in India and the palace was designed to suit his tastes. 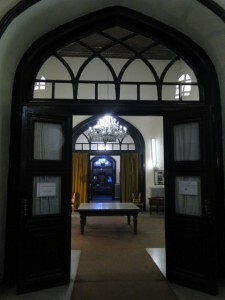 The interior is relatively austere, except for the ceilings which are panelled with floral motifs. 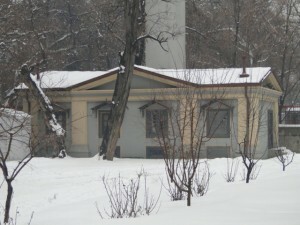 In the past the building has served as a military academy and a barracks. For a while it was in ruins, but was restored in the 1970s. 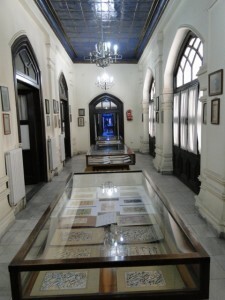 Afghanistan’s national archives were moved there in the late 1970s, and miraculously the building and its holdings escaped damage in the following decades. 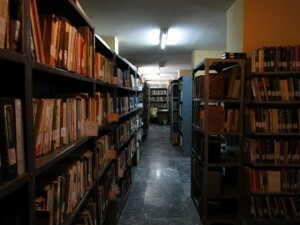 Now the archives are stored in the basement and the main public areas are used as exhibition spaces. 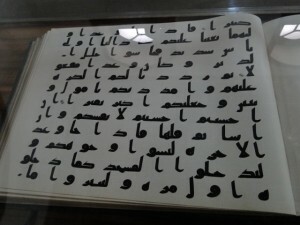 One of the works on display was a copy of a magnificent example of Kufic calligraphy. 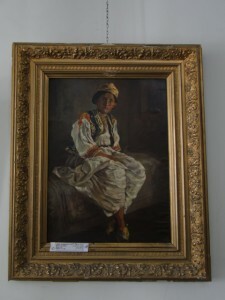 The accompanying label describes it as a gift from the USSR to King Amanullah Khan; the original is in ‘Leningrad’. 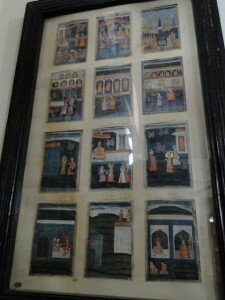 For me the Archives’ greatest surprise lay in its extensive collection of Pahari and Rajasthani miniatures. 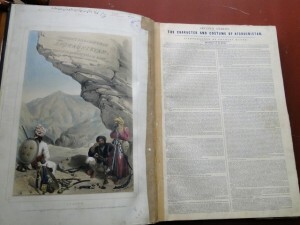 There is no explanation of how these Indian paintings had come into the Archives’ possession. And the labeling is not helpful. 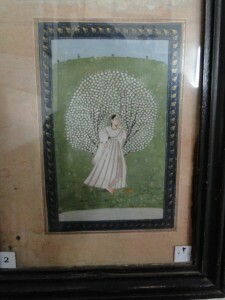 As is common with Pahari and Rajasthani miniatures, many of the paintings have Hindu themes. And some could even be described as amorous. The Archives’ brochure is silent on the subject of these miniatures, although they are of immense value. 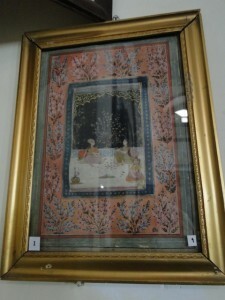 The collector who acquired them was evidently a conniosseur of Indian painting. Who was it? I wondered, and an answer was suggested by Prince Mostafa Zaher, who is a member of the erstwhile royal family. 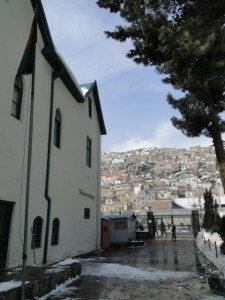 The prince was born in Kabul’s royal palace which is now the residence of President Karzai. 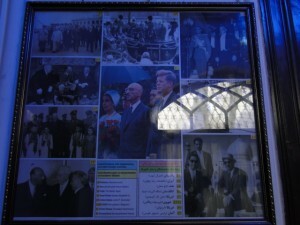 He went into exile with his grandfather, Zahir Shah, the last king of Afghanistan, in 1973. 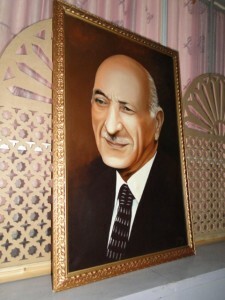 Prince Mostafa was with Zahir Shah when he returned to Kabul in 2002 and was by his bedside when the ‘father of the nation’, as he was then known, died in 2007. 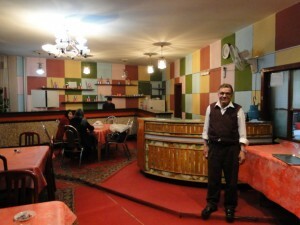 Mostafa Zaher now occupies a position in the government; he is also an excellent raconteur and has many interesting stories to tell of the family’s life in exile and their eventual return to Afghanistan. 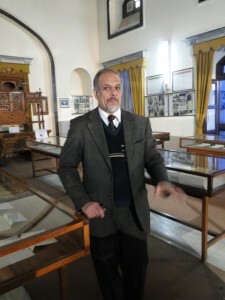 He told me that his great grandfather King Nader Shah (Zahir Shah’s father) was born in India, in Dehra Dun (where I myself went to school). 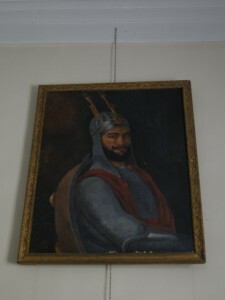 There are several pictures of King Nader Shah in the National Gallery in Kabul. 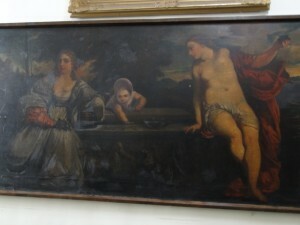 In this one he is the bearded figure in the centre. He is pictured with his son, the future king Zahir Shah, who is dressed like an English schoolboy. 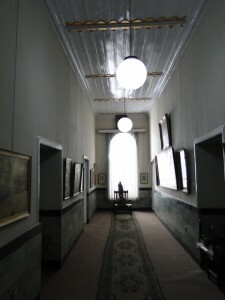 Here his portrait is on the far left, looming over the shoulder of one of the gallery’s curators. 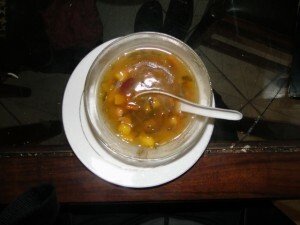 Perhaps it was in Dehra Dun that the young Nadir Shah developed a taste for miniatures? 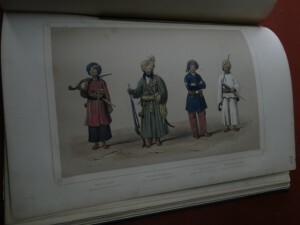 Elsewhere in the archives there is a display on recent Afghan history. 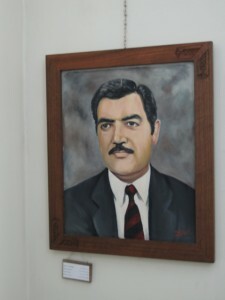 Mohammad Najibullah Ahmadzai, the leftist, Soviet-allied President of Afghanistan (generally known as ‘Najib’ or ‘Najibullah’) is prominently featured. 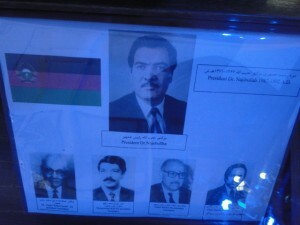 Najibullah was in the UN compound in Kabul in 1996 when the Taliban laid siege to the city. Ahmad Shah Massoud, the revered Tajik leader, offered to help him escape even though he was his political enemy. 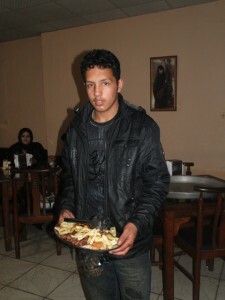 But Najibullad refused to flee and insisted on remaining in the city. On Sept 27 1996 the Taliban broke into the UN compound: they castrated Najibullah and hung him from a lamp-post. The lamp-post still stands, right opposite the presidential palace. 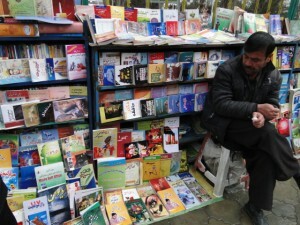 Now, sixteen years later, there is a growing respect for Najibullah. 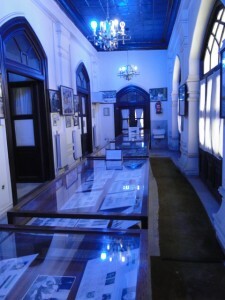 This display is perhaps a sign of changing perceptions of this period. 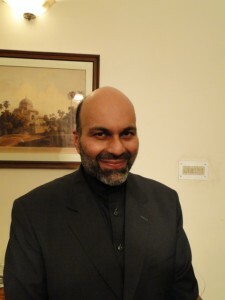 Prof Sakhi Muneer is the head of the Archive and a well-known media personality. 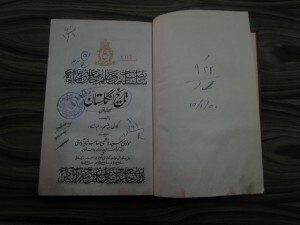 The director of the Archives under the Taliban was Mullah Jamal Shah. 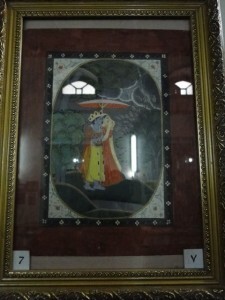 What did Mullah Jamal Shah make of the Rajasthani and Pahari miniatures? How did the paintings survive the iconoclastic furies of a period that saw the destruction of the Buddhas of Bamiyan? On inquiring about this I was told by many Afghans that the furies that destroyed the Bamiyan Buddhas were not indigenous. 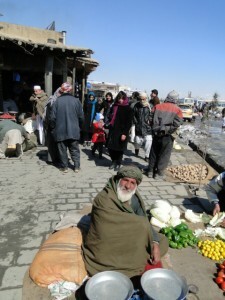 In Afghanistan many different tribal and ethnic groups have lived side by side for thousands of years. 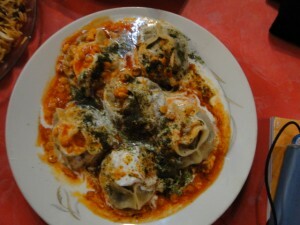 This is a country that had once straddled the Silk Route; its inhabitants have long known that ‘the world is wide’. The destruction of the Buddhas was neither initiated nor executed by Afghans; nor was it the result of a spontaneous local upheaval. It was the result of a project that was conceived and executed by foreign zealots. 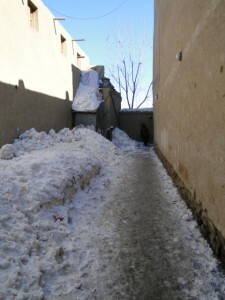 Many Afghans were horrified by the destruction; they too understood that it represented a turning point in their history. 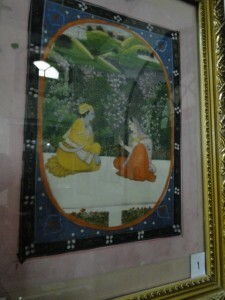 As for the Indian miniatures, it was the Archives’ Afghan staff who preserved and protected them. For all I know Mullah Jamal Shah may himself have encouraged their concealment. 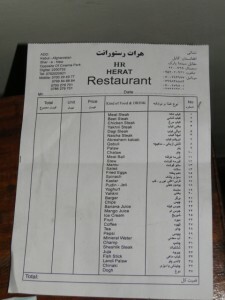 The Herat Restaurant is one of Kabul’s most popular. 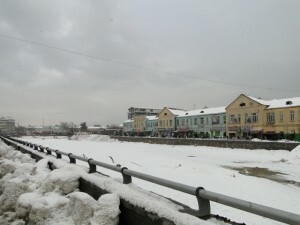 It is in the Shar-e-Naw ((New Town) section of the city, a busy commercial area. 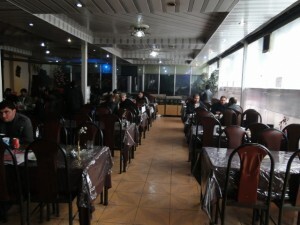 The servers hurry between both sections, carrying platters of freshly made naans. 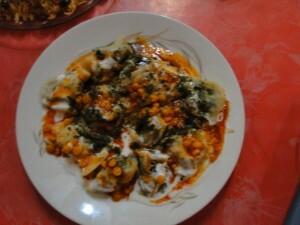 All of this is accompanied by naans and the Herat Restaurant’s homemade yoghurt, which is possibly the best in the world. 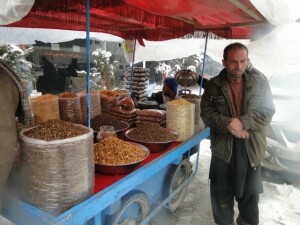 And afterwards there are delicious dried fruits on offer at a stall outside. 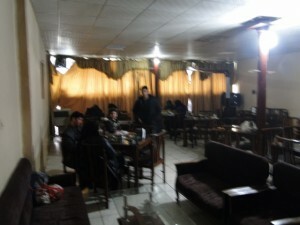 The International Press Centre in Kabul was destroyed by suicide bombers some years ago but has since been rebuilt. 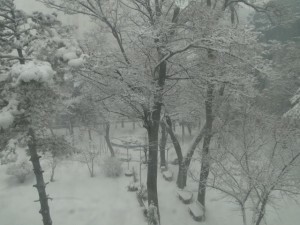 Yesterday a snowstorm had knocked the power out but work was continuing. 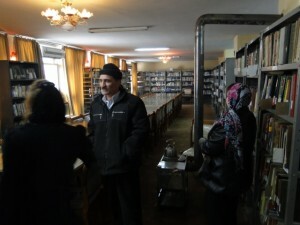 A workshop on issues of governance was under way. The participants were taking an examination on such issues as the writing of applications, basic management, employee relations and departmental attendance. 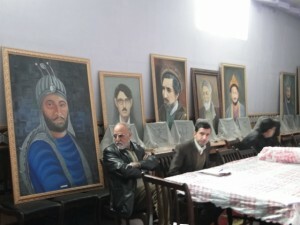 In the background were portraits of figures from Afghan history. 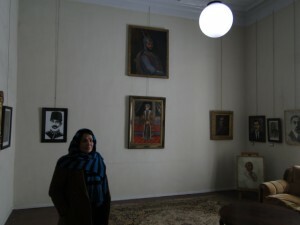 A room nearby featured a large portrait of Zahir Shah, the last king of Afghanistan. Crowned in 1933 he reigned for four decades. 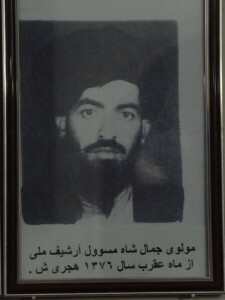 Deposed in a coup in 1973 he returned to Afghanistan after the ouster of the Taliban and died in 2002. 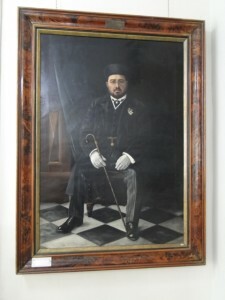 Nearby were other royal portraits. 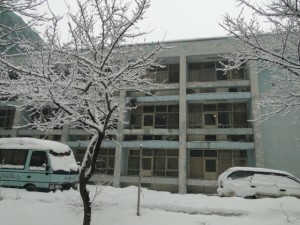 The centre’s workers were doing their best to carry on despite the lack of heat and electricity. They were somewhat crestfallen to learn that I was not Prof Bharat H. Desai, a legal scholar from Delhi: apparently he has been long and eagerly awaited here. 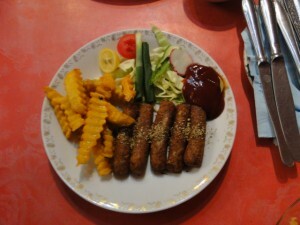 But such was their politeness that their disappointment barely showed. 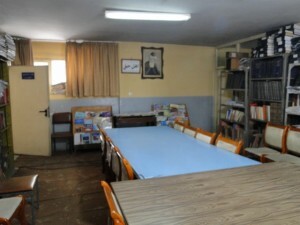 Had I been the Professor himself they could not have been more helpful and welcoming.